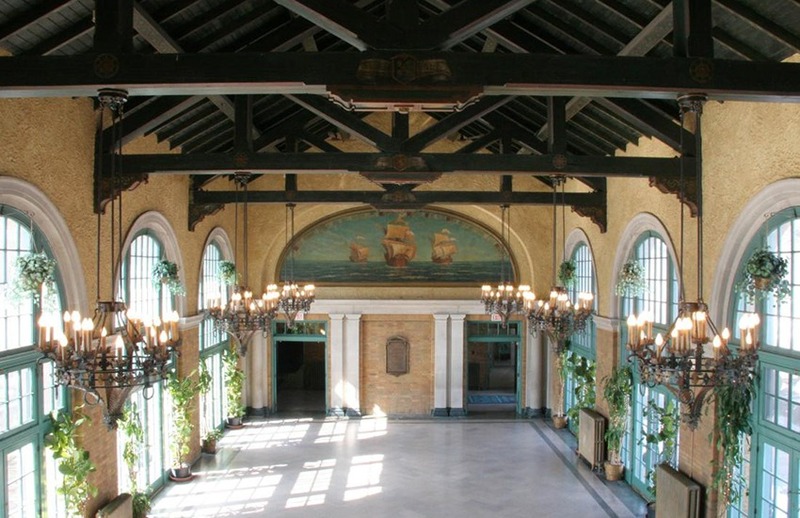 The Columbus Park Refectory boasts three porticos that fill with sun during the summer. The grounds, created by the dean of prairie landscape architecture, contain two natural looking waterfalls, stratified stonework ledges and abundant native plant life. You and your guests will enjoy the serene country club setting with the chance to dine in a Chicago landmark. Inside, Spanish-influenced architecture, arched entryways, and ornate terra cotta await. The generous-sized Dance Hall with its magnificent windows overlooks the stunning lagoon and comes complete with a grand piano. It may sound like heaven, but it’s closer than that and includes a nine-hole golf course plus convenient free parking right outside!